Episode 106 The Deaths of Superman! 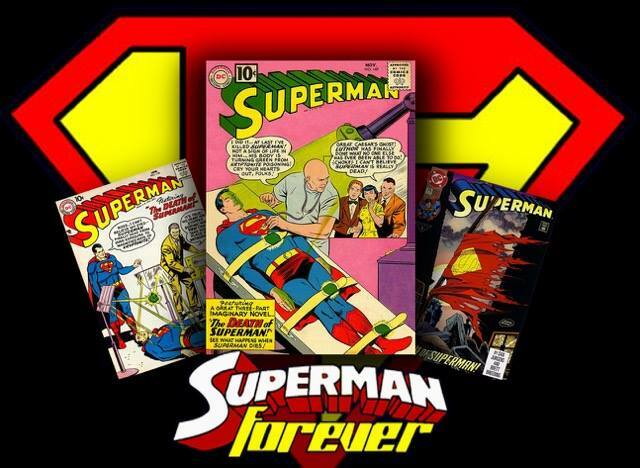 Superman has died or had been killed many times over the course of his great history and in episode 106 of the Superman Forever Radio podcast Bob Fisher takes a look at several of these deaths with special focus on Superman Vol. 1 #149 from 1961 written by none other than Jerry Siegel himself! This is one of Bob’s favorite Superman stories of all time and one of the greatest Superman stories ever told. To see why Bob loves this story so much, listen now to episode 106 of the Superman Forever Radio podcast. The Superman Forever Radio podcast is a proud member of the Superman Podcast Network at the Superman Homepage dot com! Previous PostEpisode 105 – We have a new TV Superman!Next PostEpisode 107 – Emails & Feedback!